Jeremy Clarkson is now working for Amazon, creating a new show with his unique brand of humor. And when he’s not bashing electric vehicles he’s busy announcing things for his new employer. 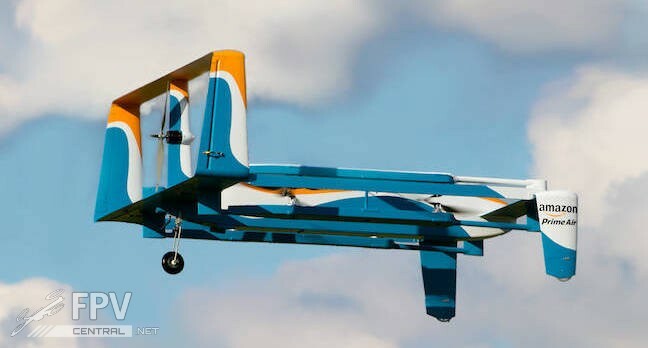 This time it’s Amazon’s new hybrid delivery drone prototype, which combines VTOL capabilities of multicopters with the long range of winged airframes. 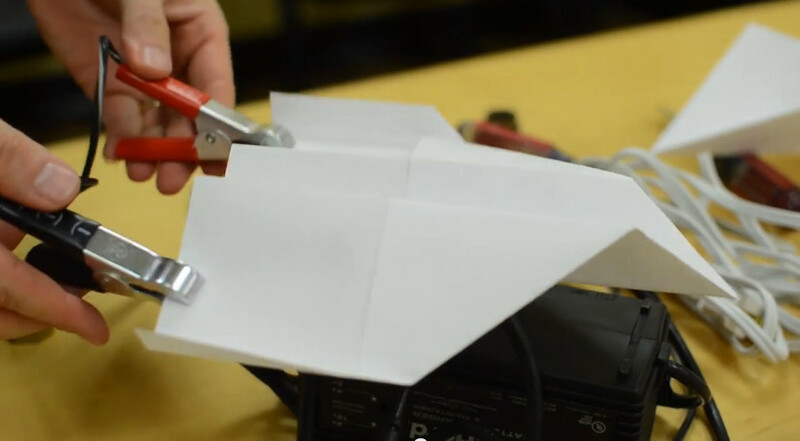 This comes to no surprise for industry experts due to the fact that powered hover flight using a quad rotor system is 10 times less efficient than a single motor pushing a winged aircraft. Thus it makes sense to combine the two in a hybrid approach. This in itself is not new, though it’s the first time we see Amazon go for this approach. Check out the video after the break. 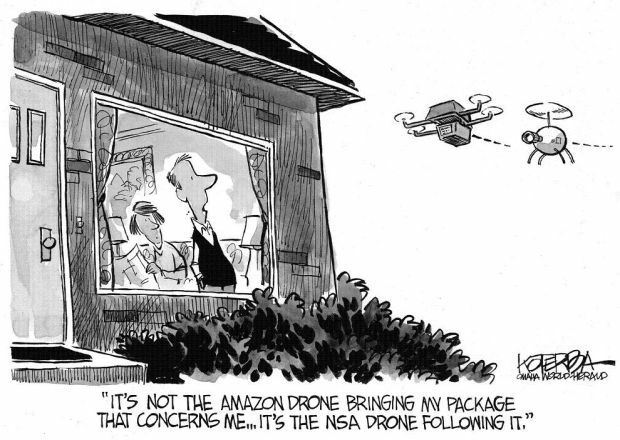 Now that delivery drones have made it into popular culture, when do you think this or something like it will become the norm? 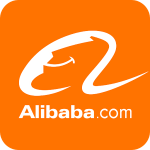 Alibaba, the chinese online merchant / trade portal, had a fantastic launch on the stock market last year, with over 500 million customers and a net worth of over 200 billion USD, more than Coca Cola or Disney. 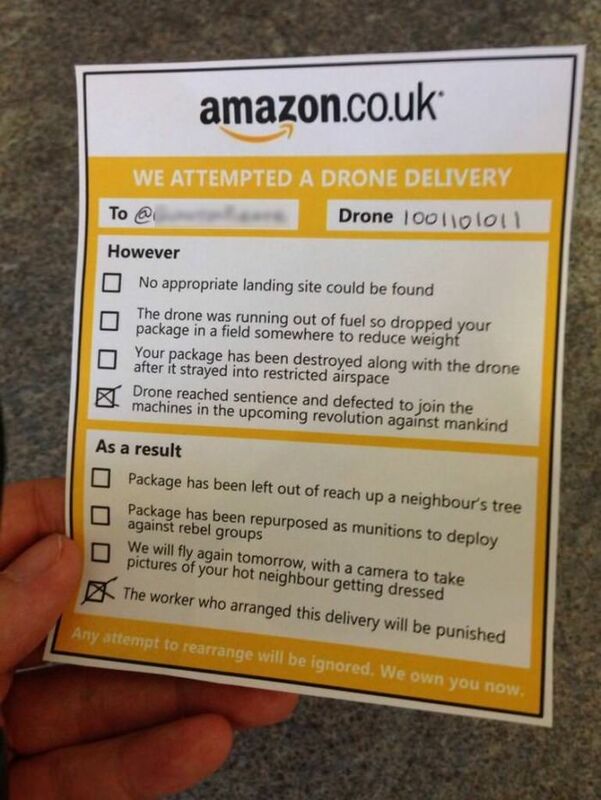 Now they’re testing drone delivery, much like Amazon and DHL before them. A total of 450 customers were able to register for the special air-drop delivery, though the drone only flies from the outskirts of Peking to the China World Trade Center, where it is then picked up and delivered by a regular courier. …is that it’s all just that: Hot air. And at last, someone made a proper parody video about it. The folks at ERC recently released this spoof announcement, which one has to say, is just about as legit and serious as the recent advertisement coup landed by Amazon. Except they will probably not get free ad space in every major newspaper. 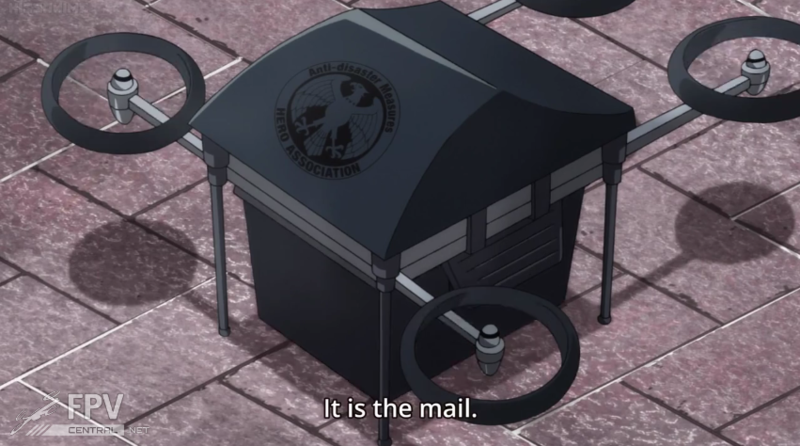 In a statement to TheVerge, a UPS spokesman stated that UPS, too, is playing with the idea of using multicopters for small parcel delivery. 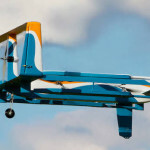 Dubbed “Amazon Prime Air”, the company’s latest delivery scheme uses multicopters to deliver packages in under 30 minutes. At least, that’s the lofty goal of the company. The play to have a fleet of octocopters that pick up appropriately-sized orders from the fulfillment center and fly it straight to the customer. 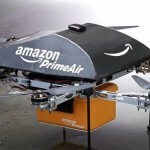 According to the CEO Jeff Bezos the aim is for such a service to go operational within four years – a pretty optimistic goal considering the FAA will have a word or two to say in this matter, and they’re usually not quite the fast responder when it comes to policy changes. Check out the fancy demo video after the break.